Occupancy: 1- 4 pers. – unsuitable for small children – only babies up to 1 year of age and children from 12 years. Casa Violeta is situated in a temperate climate region on the west side of the island featuring great comfort and a sea view. The two-story Holiday Home with a swimming pool, on a terraced property is built 250 meters above sea level and offers all conveniences for a relaxing vacation. 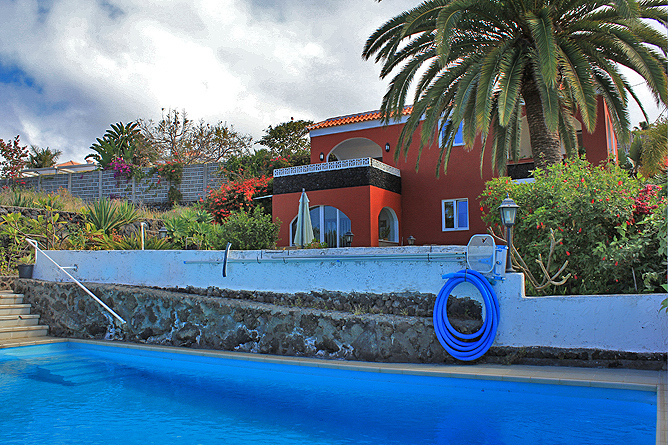 The central location makes Casa Violeta a perfect starting point for a number of activities: Enjoy sun and sea at one of the nearby beaches, paragliding, diving, biking or hiking – almost every attraction can be accessed quickly with your rental car. Two very good restaurants are located within a short walking distance. The winter garden allows you to enjoy a friendly open air feeling, particularly on chilly or windy days. 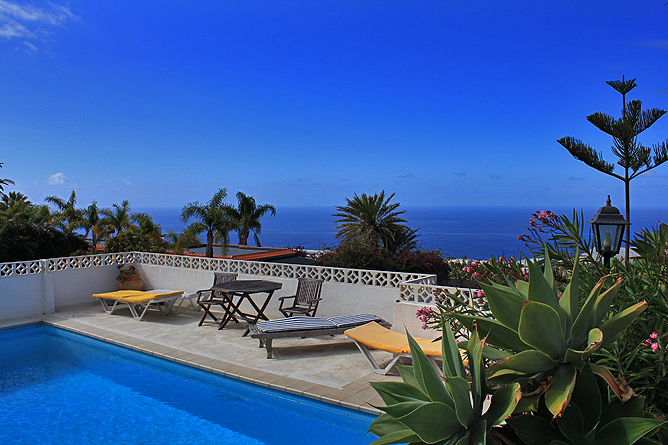 Most days of the year you can enjoy a refreshing dip into the swimming pool, which is located on the lower terrace and also offers a sun deck. Free internet access is included as well. 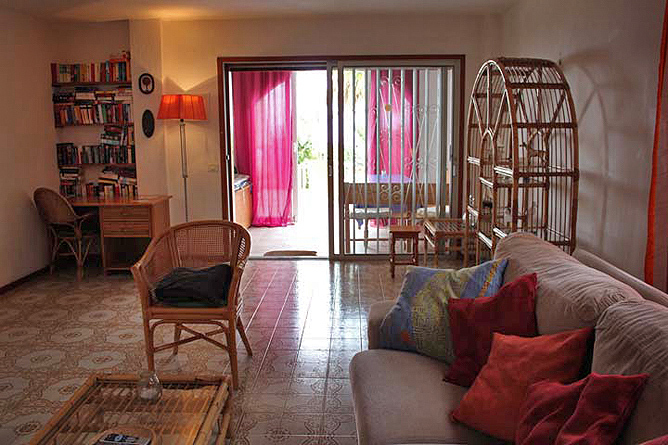 Casa Violeta is not suited for very small children, due to the terraced property. Babies aged up to 1 year as well as children from 12 years are welcome. The two-story Holiday Home is very spacious. 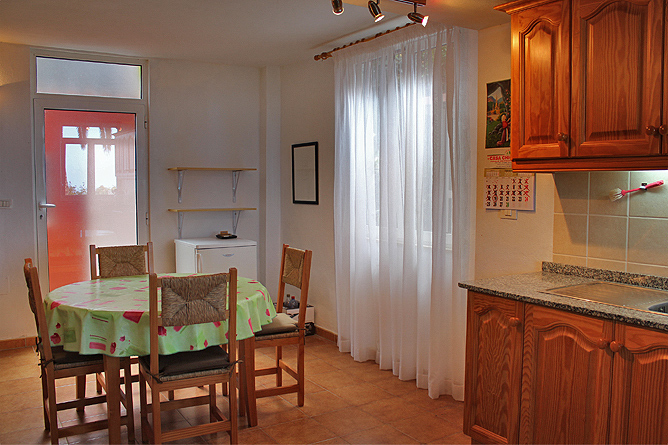 On the ground floor you find a well equipped kitchen with a dining table. A living area, connected to the kitchen, offers seating furniture, a reading corner as well as a wood burner for cooler evenings. 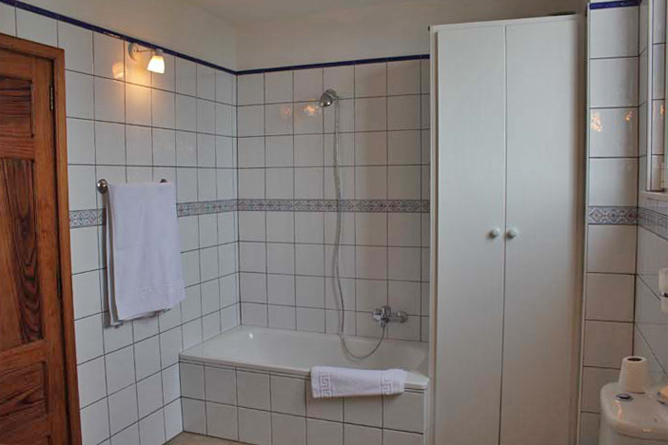 On the first floor there is a large, shared bathroom between the two bedrooms. 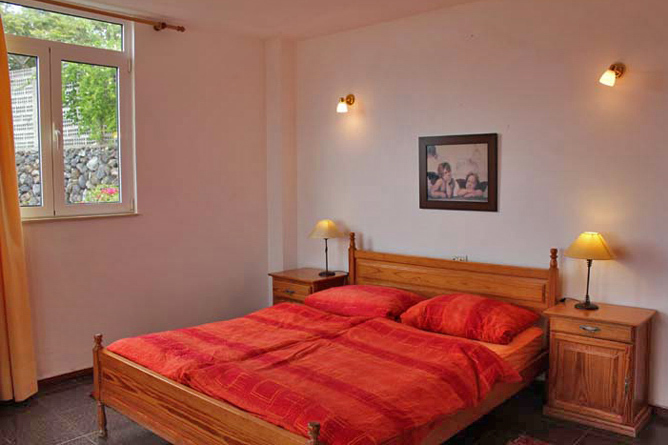 Both bedrooms have one terrace each. One of them is very large and partially roofed. 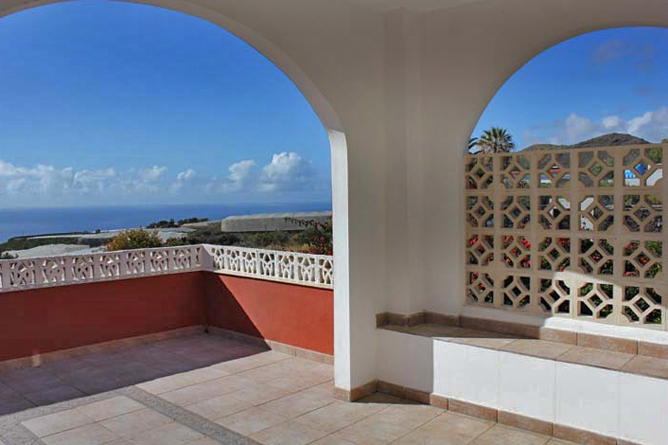 It offers a fantastic view of the Atlantic Ocean. 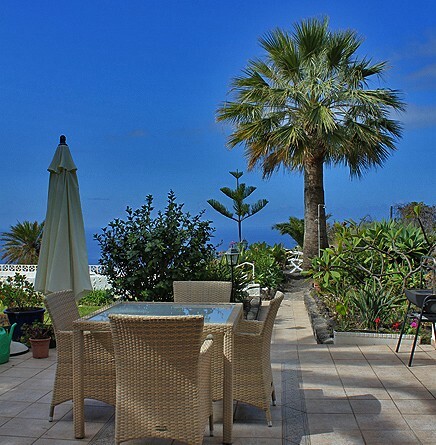 The other terrace is a little smaller, a big palm tree shelters from the wind. An enchanting winter garden is connected to the living area and offers an open air feeling, which is a delight on chilly days. 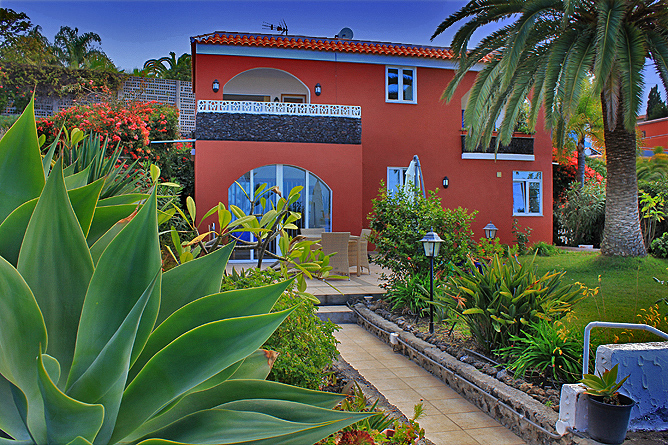 The winter garden leads to a furnished terrace and a lawn for sunbathing with very large, shady palm trees. 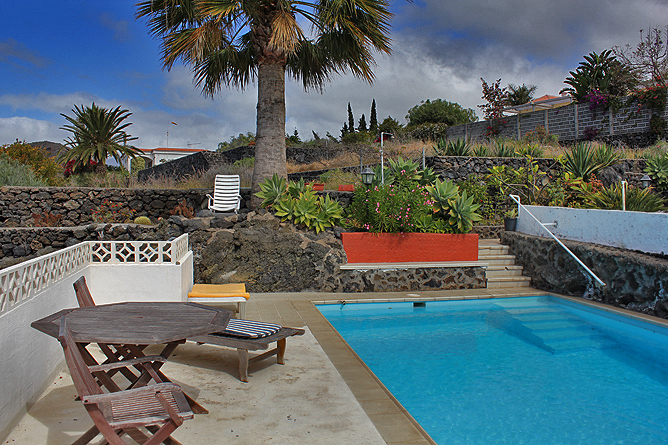 The swimming pool with a small sun deck and sun loungers is situated on the lowest terrace. 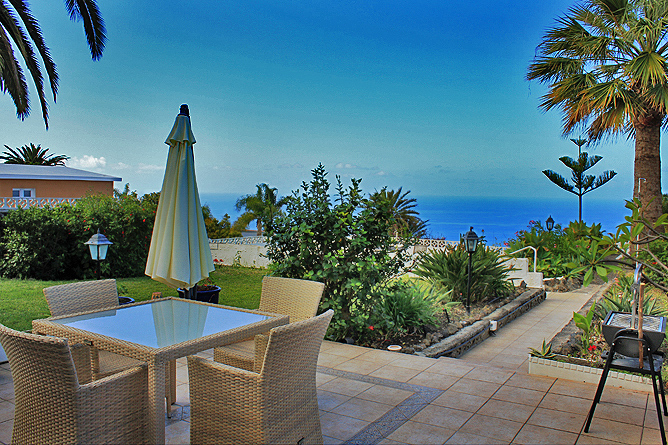 The property boosts with another two idyllic spaces inviting you to relax, read a good book and enjoy the view. A private parking lot right below the house is also available. The Holiday Home is not suitable for small children. Babies up to 1 year of age and children from 12 years are welcome. 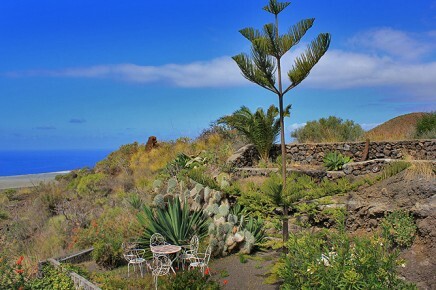 Casa Violeta is located 250 meters above sea level, on the lower part of the small settlement Las Norias near Todoque. 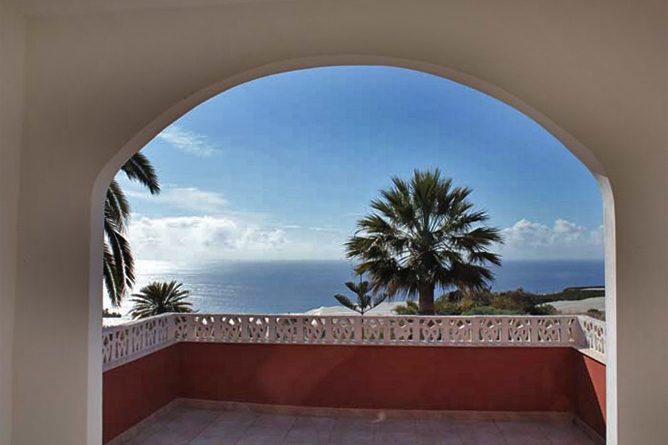 The hillside location provides a spectacular view over the banana plantations and the ocean. The large sandy beach in Puerto Naos is only a 5 minutes drive, a ride to Tazacorte Puerto with its large esplanade takes only about 15 minutes. The nearby village Todoque (approx. 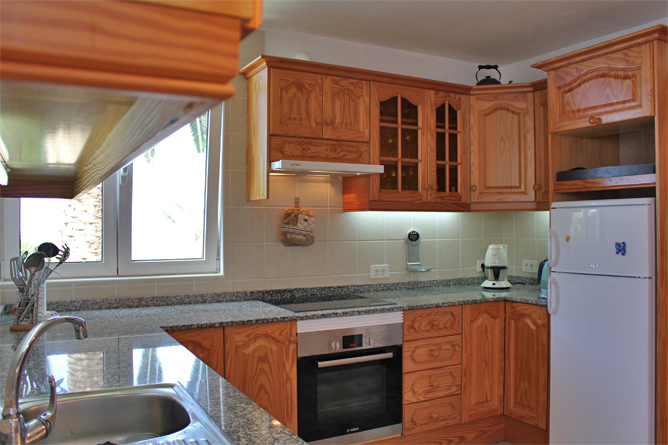 1,5km) offers shopping facilities. There you find a well sorted supermarket, that also sells fresh baked goods. 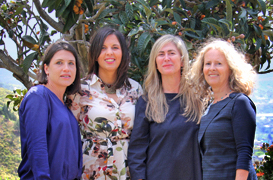 Two good restaurants — the "Restaurante Las Norias" as well as the "Mariposa" are both within a short walking distance. 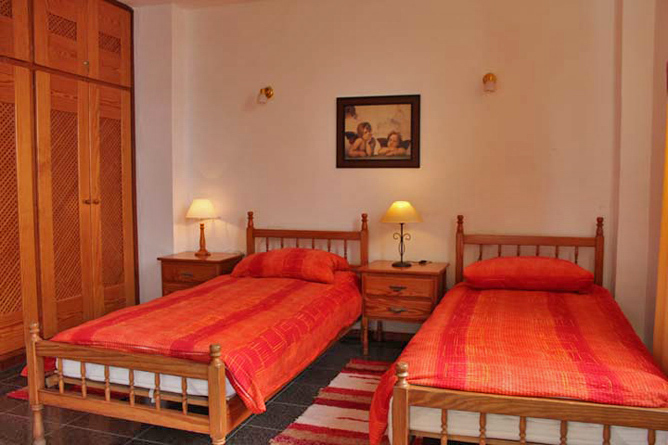 Los Llanos, is the largest town on the west side and offers shopping facilities and many restaurants. 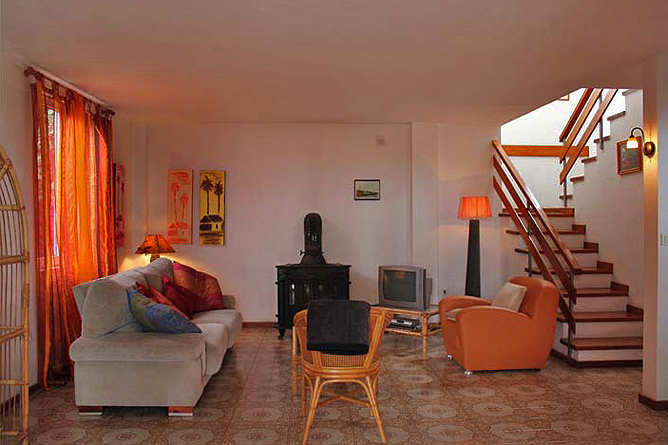 It is a 15 minutes drive from Casa Violeta. Pool House with Sea View in excellent Location.